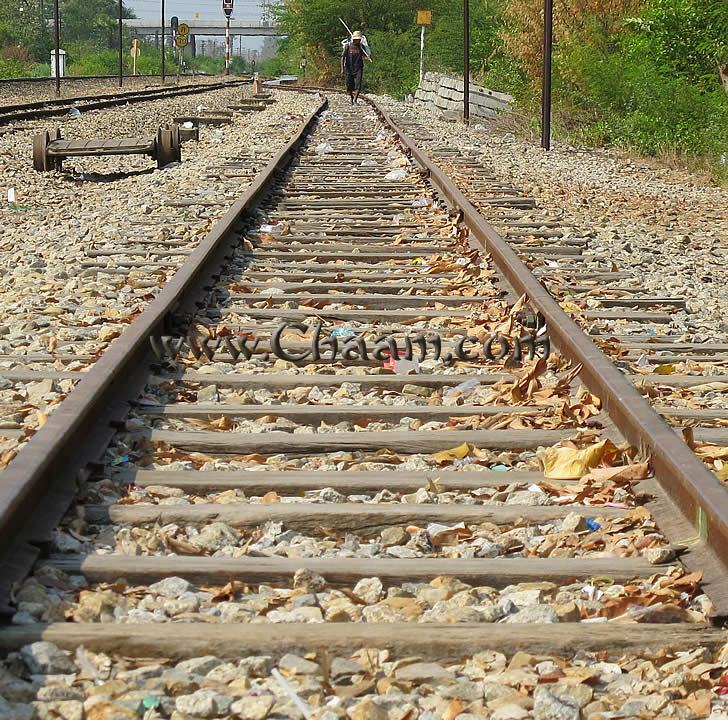 The longest railway line in Thailand passes the main station of Cha-Am. You can enter directly in Bangkok and drive thousands of miles by train down to Malaysia. 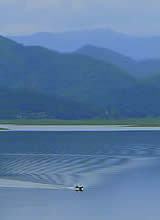 It is a real adventure to travel by train in Thailand! To enlarge a picture, just click on it! You can use the train for little money and make a journey through Thailand. This trip will not be boring, because you will see the beautiful and varied landscape of Thailand and the very friendly and sociable Thais! 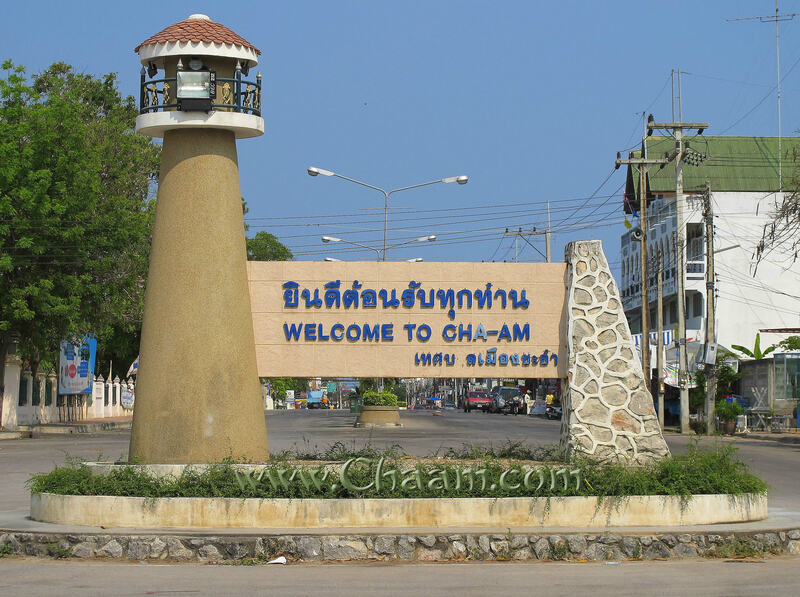 When you exit the railway station of Cha-Am, a large sign welcomes you. The rail network is well developed, but there is unfortunately a regular delay. The State Railway of Thailand is the largest employer in Thailand with more then 26,000 workers. If you travel by car or if you walk, please always be careful when you are crossing the tracks. Some of them are not secured and have no barrier. The rails are regularly run down by poorer Thais, they can be made ​​from plastic waste, metal cans and glass money, when they collect it and bring it to to recycling markets.